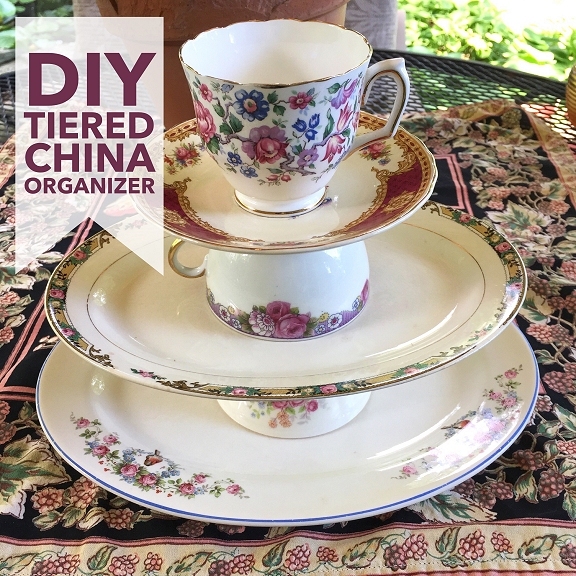 Today I'm going to show you how you can turn your thrift store and flea market teacups, plates, and saucers into a pretty tiered organizer. This organizer is great for holding jewelry or other small collections, makes a unique candy dish, and is certainly a conversation piece. All you need are a few supplies. It's easier than you might think! First, let's gather our supplies. 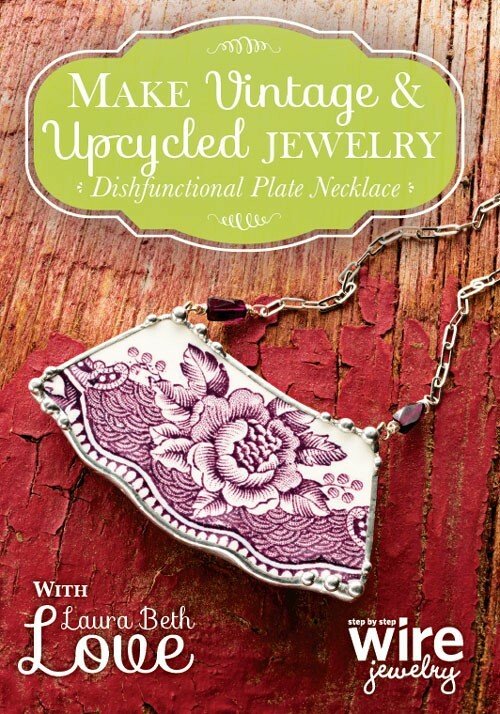 For this project you will need a variety of old plates, saucers, and teacups. You will need a tube of E6000 adhesive. 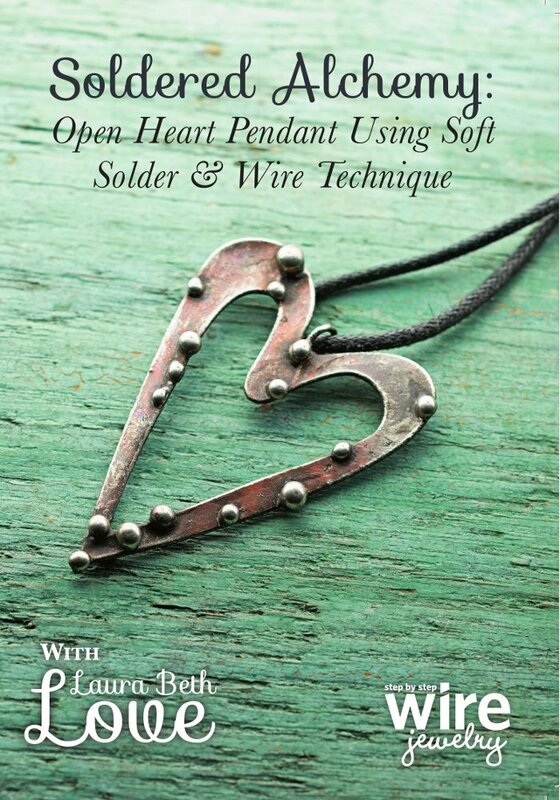 This is available at hardware stores, department stores such as Target, and even in some grocery stores. Due to the materials we will be gluing, I do not recommend using any other adhesive. 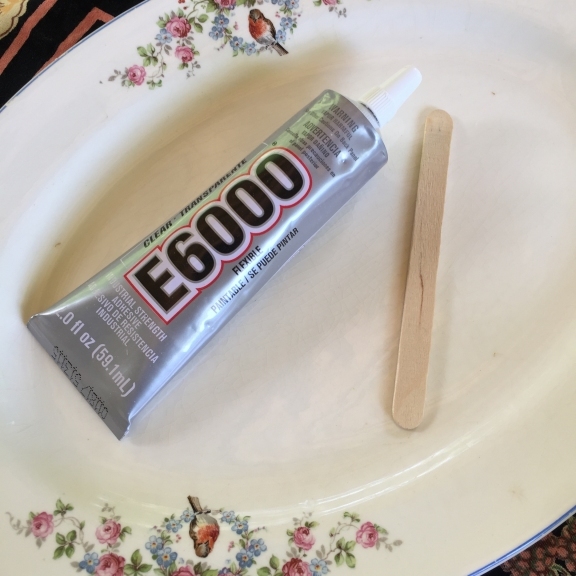 Hot glue will not work, nor will water-soluble school glue, so get yourself a tube of E6000. You will need a disposable popsicle stick or craft stick to help spread the glue, and you will need some old newspaper to cover and protect your tabletop while you work. 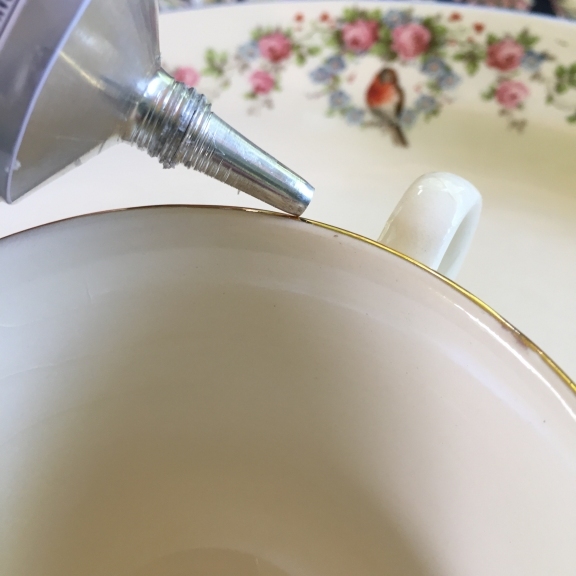 A paper plate or a piece of waxed paper comes in handy when you need to set your glue-covered craft stick down, so you may want to keep one of those at your workstation too. And remember, when using any type of adhesive, always be sure to work in a well-ventilated area. 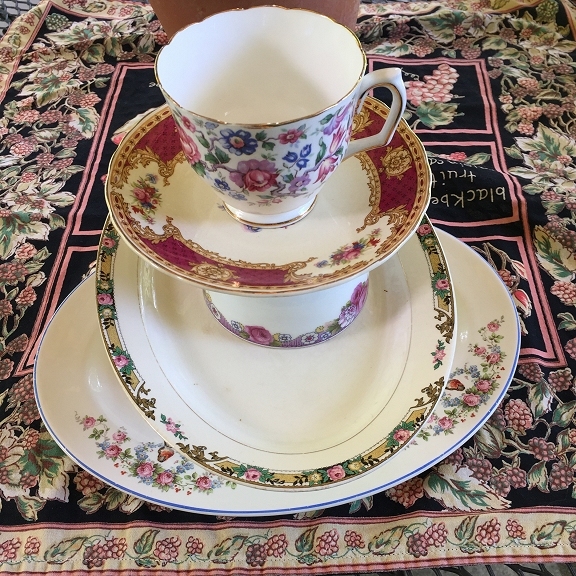 For the organizer we are going to make today, you will need three plates and three teacups. 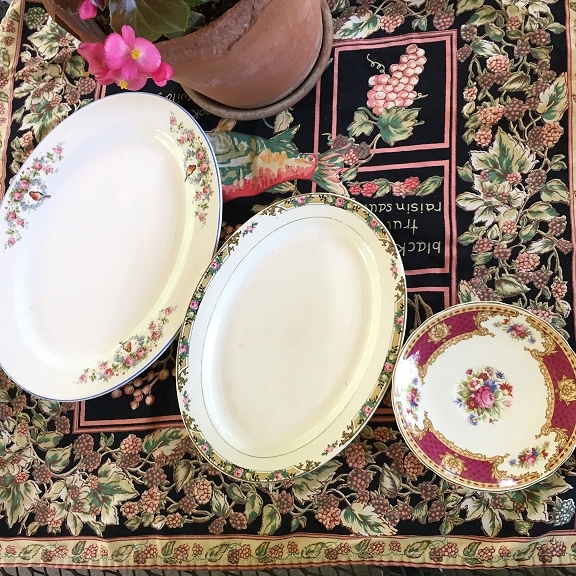 From the bottom up, our organizer will look like this: plate, teacup, plate, teacup, plate, teacup. To keep your tiered organizer from being top-heavy and toppling over, we need to build our organizer so that the largest and heaviest plates and cups are on the bottom, and the smaller and lighter ones are on the top. Think about this when you are choosing your china. Before we glue any of our pieces together, we will first pick them out and stack them up so we can see how our finished project will look. First, choose a heavy plate for the bottom so that your organizer has a sturdy base. Remember, we are going to be stacking china on top of this plate, so it has to be large and heavy so that your "china tower" does not topple over. 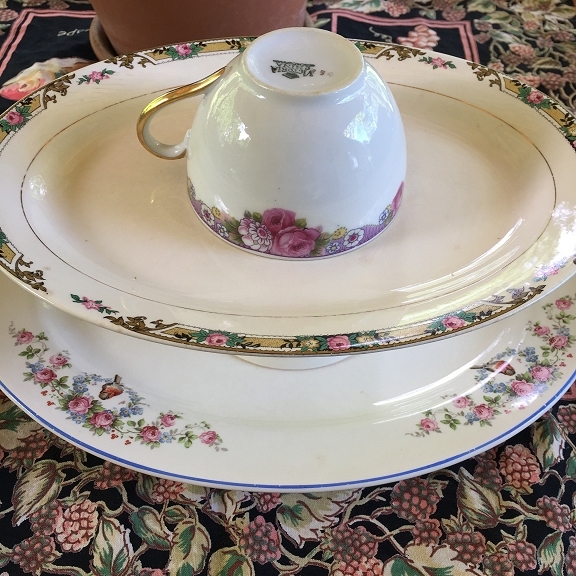 Once you have chosen your base plate, set it aside and choose your first teacup that will be glued to the top of that plate. This teacup will be glued upside-down to the bottom plate. This is because the diameter of the cup's opening is (most likely) larger than the diameter of the bottom of the cup. Once you have chosen your first cup, set it aside next to your base plate and then choose your middle plate. This plate will be glued on top of the bottom of the teacup that you just chose. 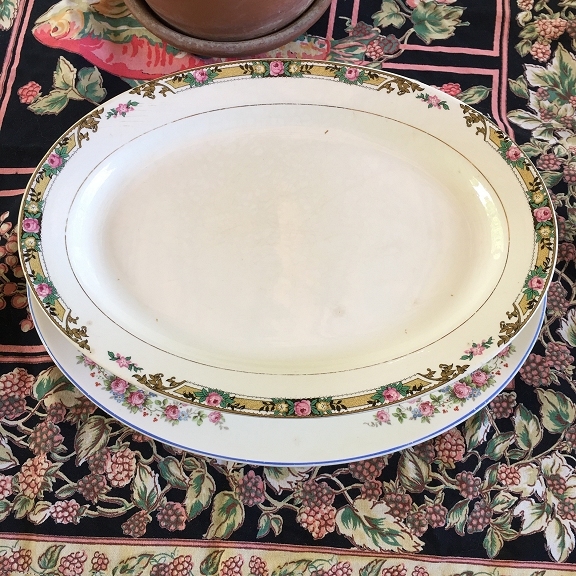 Make sure you choose a plate that has a smaller diameter than your base plate. Your middle plate should also be lighter than your base plate. Once you have chosen that plate, try it out to see how it looks stacked up and then set it aside. Plates lined up with each other. 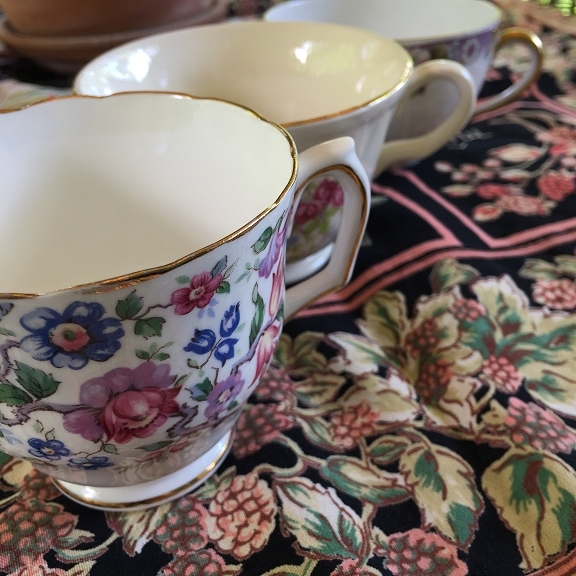 Next, choose your second tea cup. This cup will be glued upside-down on top of the middle plate that you just chose. 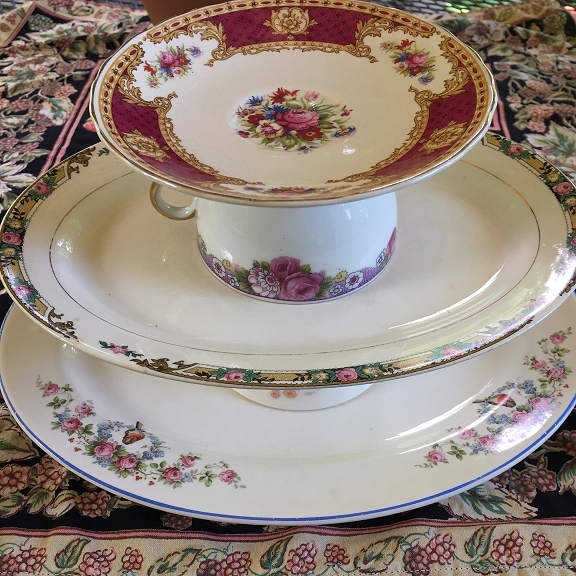 Once you have chosen your second teacup, choose your third plate. 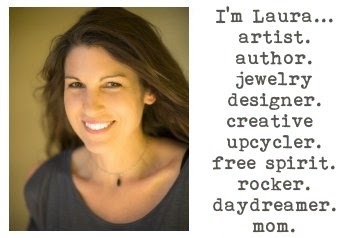 This plate will be situated on top of the bottom of the teacup that you just chose. Choose the smallest and lightest plate for this position. A saucer often works great for this position. Finally, you will choose your third and last teacup to complete your china tower. 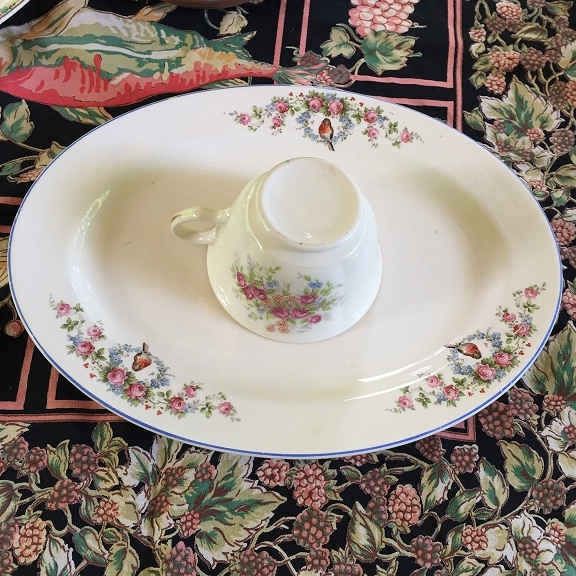 This teacup will be glued right-side-up on top of the small plate or saucer that you last chose. Now that you have all of your china picked out and you know what is going where, it's time to glue them together! Before you glue, make sure all pieces are clean and dry. We will glue them together from the bottom up. Open your adhesive and carefully apply a ring of glue around the rim of the first (bottom) teacup, and then place the teacup, glue-side down onto the top center of your bottom plate. Now - it is up to you whether you want to continue gluing right away, or wait until those two pieces have dried. I recommend allowing them to dry overnight before adding the next piece. Either way, next you will glue the center plate to the bottom of the bottom cup, allow that to dry, and then add your second cup - once again upside-down, and once that is dry add your small plate, and then your final top cup, which you will glue to the small plate right-side-up. 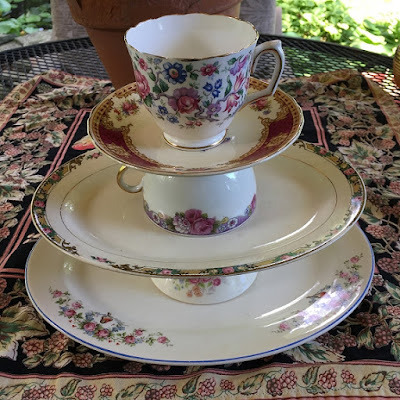 Another option is to forgo the top teacup and use the small plate as your top tier. It's a matter of personal taste. Do what you think looks best. 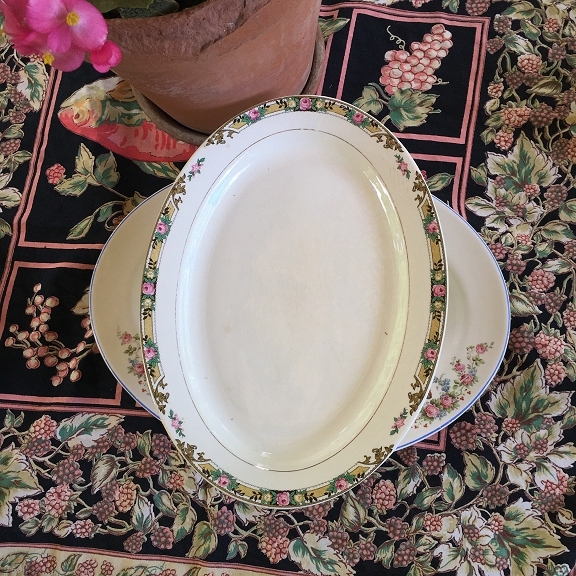 Below are two different ways of stacking elongated plates - lined up or staggered. I hope you enjoyed this tutorial! 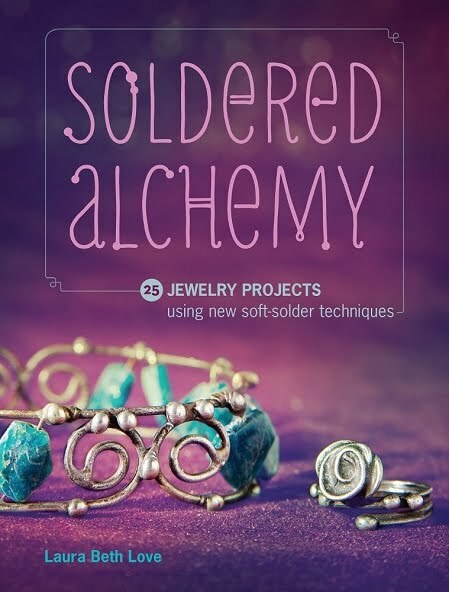 Please share this post with your friends and remember, I always love to see your creations so feel free to email them to me via my Etsy shop or on my Facebook page (links in the right hand sidebar). 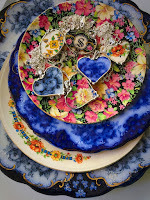 Beautiful vintage plates and don't you just love that E6000 glue? I do. Great job. What a wonderful idea! The center plate is the same pattern of my grandmother's china. I'm blessed to own two pieces of it. 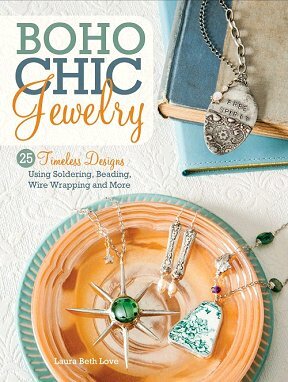 How fun to see it used here!